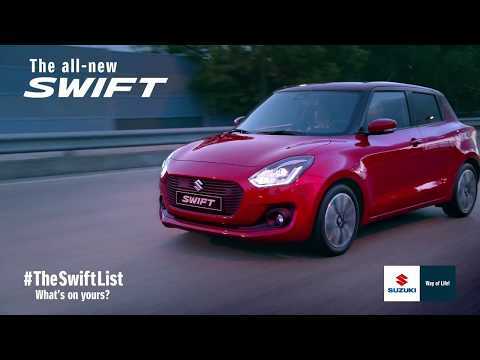 The Swift still has style by the bucket load, but with a handful of exciting extras to make driving even better. Its solid, muscular body commands real road presence to make you the centre of attention, and its LED headlights (SZ5 models) light up the night. If you’ve experienced a Swift before, you’re about to fall in love all over again. Take fun to the next level with the powerful Swift. The SZ3 is available with a 1.2 Dualjet petrol engine, giving you a smooth and efficient drive. Or try the 1.0 Turbocharged Boosterjet petrol engine for outstanding performance and fuel efficiency. The addition of SHVS Mild Hybrid provides even greater efficiency. And if that’s not enough there’s even a 1.2 Dualjet SHVS 4-wheel Drive. The Swift is equipped with some seriously effective protection as standard.